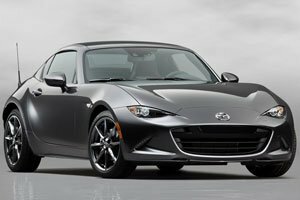 Quite simply, choosing the sleek new hard-top Mazda MX-5 RF over its soft-top sibling is no hard choice at all because the car is an absolute hoot to drive. Authorised Distributor Mazda cars are Mazda 2 Hatchback, Mazda 2 Sedan, Mazda 6, Mazda 6 Wagon, Mazda CX-3, Mazda CX-5, Mazda CX-9. Parallel Imported Mazda cars are Mazda Axela Diesel, Mazda MX-5.